The loud-voiced coquí froglet has thousands of different friends that give sound, movement and color to the island's wilds. 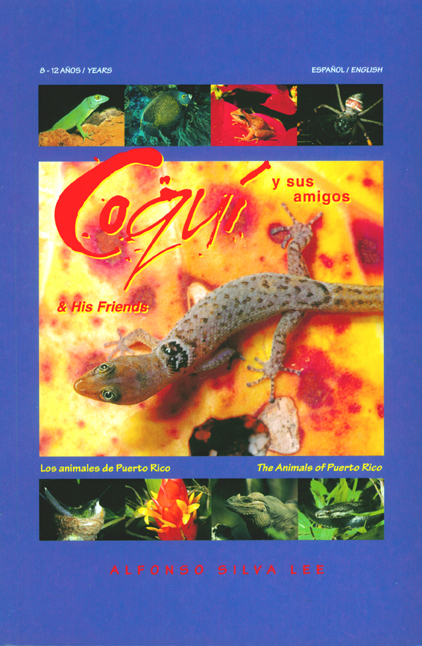 Written for 8- to 12-year olds, this book provides an easy and fun-to-read story of the island fauna's origin. Forty land and coral reef animals are treated in the text, and include superb photographs of each. Children are invited to feel their hidden charms and learn about their ecological merits. 96 pp, 6" x 9"
All rights reserved © 1995-2019 PANGAEA.